in the process expanded trade unionism, women's consciousness, and civil liberties. 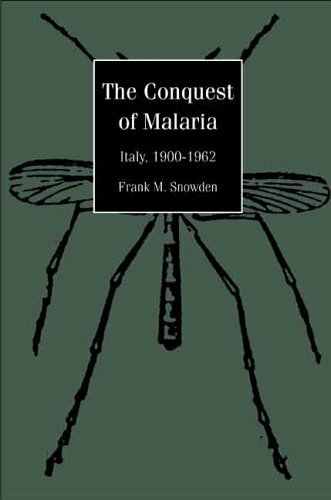 He also discusses the antimalarial effort under Mussolini's regime and reveals the shocking details of the German army's intentional release of malaria among Italian civilians--the first and only known example of bioterror in twentieth-century Europe. Comprehensive and enlightening, this history offers important lessons for today's global malaria emergency. Frank M. Snowden, Jr., was Professor of Classics, Emeritus, at Howard University. Malaria : the "Italian national disease"